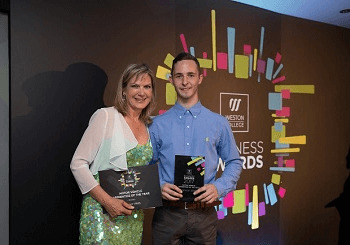 Howards Peugeot are very proud to announce that one of their very own has won an award at Weston College’s Business Awards 2017, a celebration of apprentice success and employer partnerships. Local and regional employers and their apprentices, as well as members of the college, attended the event and were all part of the celebration of the outstanding achievements gained through these partnerships. Howards are really proud to be part of this brilliant collaboration, a local network to help up-and-coming young adults find footing and experience across a variety of industries. Connor Wells won the Motor Vehicle Apprentice of the Year for all the great work he has been doing with Howards Peugeot. Previously, Howards Peugeot have been awarded the prestigious ‘Peugeot UK Apprentice of the Year’, and they have strived to continue this success. Howards pride themselves on providing a working environment that supports and develops their team members and offers an environment in which to thrive - what better way for this to show then through this sort after accolade?! The event was hosted by journalist, TV and radio presenter Penny Smith who awarded Connor his trophy. What a great evening for everyone involved! Well done and congratulations to Connor and the Howards Peugeot team - Keep up the good work!